Agamben’s Philosophical Lineage. Edited by Adam Kotsko and Carlo Salzani. Edinburgh: Edinburgh University Press, 2017. ISBN-10: 1474423647. Hardcover, Paperback. 352 pages. 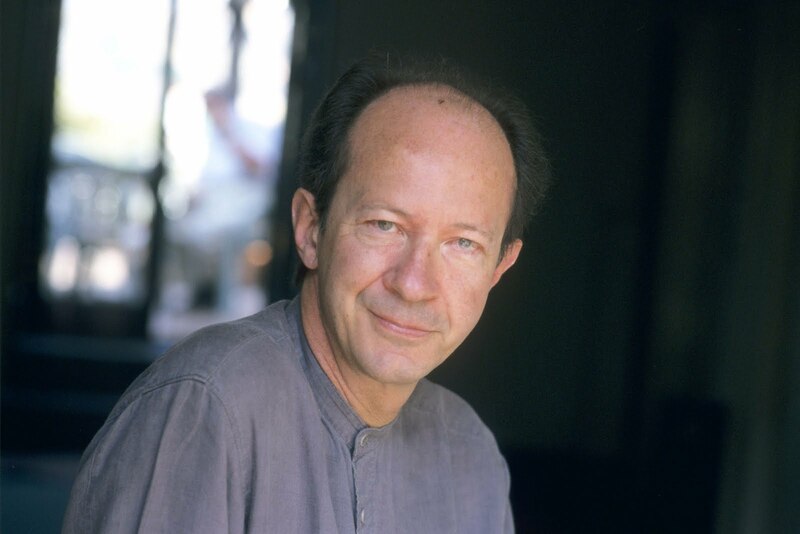 If for nothing else, 2017 was a good year (at least for the English-speaking world) because we have received a variety of new works of philosophy from Giorgio Agamben. During the last year we have been given, for the first time, translations of his The Fire and the Tale, The Mystery of Evil, What is Philosophy?, and Taste; and, the nine volumes of the now-complete Homo Sacer project were published together as The Omnibus Homo Sacer, making the series more readily available than before. Moreover, we also received what is perhaps the most significant contribution to the literature surrounding Agamben’s work in recent years: Agamben’s Philosophical Lineage, edited by Adam Kotsko and Carlo Salzani. This book brings together 30 essays, each on one of the major thinkers that has shaped Agamben’s thinking. This collection is particularly helpful for both those new to and also for those already well versed in Agamben’s work. Grasping the force of his thought involves keeping track of not just of what he is saying, but also of his sources of inspiration and the way he transforms their original ideas. Agamben’s Philosophical Lineage serves as a welcome guide to readers hoping to better navigate Agamben’s disorienting and ever-growing corpus. A defining mark of Agamben’s work is subtly. His interpretation and application of the work of others is often indirect. Motivating Agamben’s love for philosophy is, in his words, the challenge of locating ideas in the work of others “that have remained—or have willingly been left—unspoken and that need to be found and seized” and elaborated upon. On what seems like every page he writes, Agamben gathers thoughts from thinkers of the past in order to reveal their persistent contemporaneity, their ability to problematize our sense of the present. Likewise, a major goal of Agamben’s Philosophical Lineage is one of uncovering, “rendering explicit what remains implicit” in Agamben’s engagement with other thinkers (1). Kotsko and Salzani’s aim to present Agamben in a way that matches the spirit of Agamben’s own philosophy. Especially helpful in this regard is the way Kotsko and Salzani are not content to introduce the volume (in their chapter, “Agamben as a Reader”) by merely spelling out the logic and structure of the book. Instead, their introduction serves as an essay in and of itself, explaining how Agamben’s method of reading, studying, and citing tradition exceeds the realm of methodology and bleeds into the realm of philosophy proper. In doing so, they situate the most prominent of Agamben’s philosophical developments—e.g., potentiality, the messianic, deactivation, and abandonment—within his practice as a reader, and not just as a writer. On the surface, Agamben’s Philosophical Lineage presents itself as a mere collection of essays, serving to provide readers various points of entry into the work of Agamben. If one has an interest in Kant: read the chapter on Kant; if one needs quick insight into his use of Carl Schmitt—turn there. Indeed, the book is divided into three easily navigable sections, organized around the multitude of Agamben’s interlocutors. 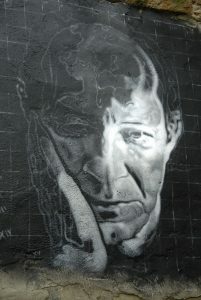 In descending order of relevance—from “Primary Interlocutors” to “Points of Reference” to “Submerged Dialogues”—the volume first discusses the thinkers Agamben most directly engages (such as Aristotle and Benjamin); it then turns to thinkers he often evokes but with whom he has a less sustained dialogue (e.g., Arendt, Deleuze, Hölderlin); and finally it covers thinkers he discusses only in passing, but ones who have given shape and color to the background upon which he writes (like Adorno, Scholem, and Weil). So, in many ways, the collection appears to most closely resemble a reference work, perhaps akin to something like a philosophical dictionary. For example, a virtue of Ali Efal-Lautenschläger’s chapter on Aby Warburg is its clarificatory aim. Warburg’s thought is no doubt less familiar to most readers than many of the figures discussed in Agamben’s Philosophical Lineage. And, for those who do know something of Warburg’s thought, the emphasis is usually placed on the art-historical significance of his work on “the image” and visual art. As Efal-Lautenschläger explains, however, Agamben’s interest in Warburg is less related to imagery and art, and has more to do with the concept of time. Her chapter, therefore, focuses on detailing the way “Agamben’s reading of Warburg differs substantially from those of major art historians influenced by Warburg” (208). She describes the way Agamben understands signatures and gestures as dynamic “carriers of mediality” rather than notions relating to something’s static appearance or image (213). She also singles out, in a reference-like way, the ideas that sit at the nexus between Agamben and Warburg, referencing relevant passages where Warburg is discussed. Several chapters in Agamben’s Philosophical Lineage (such as “Guy Debord,” “Plato,” and “Friedrich Nietzsche”) share a similar aim and architecture. Many chapters are structurally reminiscent of expanded dictionary entries: their primary aim being to provide readers insight into the details that are most immediately relevant to understanding Agamben’s engagement with a thinker. Nevertheless, although many of the chapters indicate that the function of Agamben’s Philosophical Lineage is that of a dictionary-like reference collection, other chapters take a different approach. At times, the task of the volume feels more creatively ambitious. Take, for example, the chapters on Simone Weil and Theodor W. Adorno, written (respectively) by Beatrice Marovich and Colby Dickinson. Doing more than laying out a scene, Marovich and Dickinson argue for and against ways of understanding Agamben’s reading of Weil and Adorno, thereby positively expanding the dialogue surrounding his relation to both figures. In Marovich’s chapter, she considers the extent to which Weil’s notion of creaturely life serves as an “unmarked influence” on Agamben’s idea of bare life (296). She begins by surveying, and finding wanting, the recent accounts of both Leland de la Durantaye and Alessia Ricciardi. On her account (which she admits is speculative), Weil has been under-recognized on the issue. She therefore makes the case that Weil “could be cited more frequently in genealogies of Agamben’s bare life” (293). Similarly, for his part, Dickinson uses his essay to demonstrate that, despite the supposed conceptual distance between Agamben and Adorno, the two thinkers share much at the level of method. 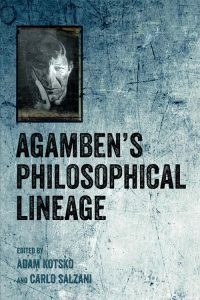 To do so, he highlights the fundamental role that Agamben gives to the “unthought” elements in the history of philosophy; and he then draws connections between Agamben’s search for the philosophically “unthought” and Adorno’s quest for an account of the non-identity at the heart of philosophy. By the end, Dickinson effectively shows “how the alleged differences [between Agamben and Adorno] might be exaggerated to some extent” (220). 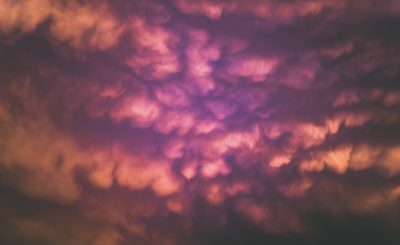 There are benefits and limitations to both aspects of the Agamben’s Philosophical Lineage. As anyone who has read Agamben will know, his work is both dense and elusive. Making matters worse, the work of the figures he elaborates upon is no less intimidating. Thus, the fact that many chapters read like straightforward works of reference offer a much-needed relief to those who familiar with some element of Agamben’s work, but know nothing of thinkers like Marquis de Sade. With Christian Grünnagel’s help, readers are given not only a clear presentation of Agamben’s fascination with Sade, but are also given further insight into Agamben’s more general tactic as a reader. As Grünnagel’s study concludes: Agamben “prefer[s] an open dialogue with [the thinkers he engages], underlining more the strength of their thought rather than pointing out flaws or problematic passages in their works” (198). While some chapters function like dictionary entries, others transcend the level of mere presentation and their multivalence takes readers deeper into the literature surrounding Agamben’s thought. To the initiate, however, these chapters—because they cover more ground in such little space (each essay in the volume is only around 10 pages in length)—such chapters may render Agamben’s work no less impenetrable. In order to compile a volume such as this, Kotsko and Salzani have, by necessity, had to individuate chapters according to single thinkers. And, while one may not feel compelled to read the entirety of many edited volumes—choosing to read only the essays specific to one’s topic of interest—Agamben’s Philosophical Lineage rewards the thorough reader. An important detail to remember in this regard is that, within his own work, Agamben is always found not just sourcing and appropriating the work of others; rather, he consistently mediates his ideas between many thinkers at once. The volume bears witness to this feature of Agamben’s work when it is read as a whole. The chapters on Franz Kafka, Immanuel Kant, and Michel Foucault (written by Anke Snoek, Susan Brophy, and Vanessa Lemm) cohesively tie together Agamben’s criticism of the notion of sovereignty with his concern that, in the modern age, the law is “in force without significance.” As Brophy points out, for Agamben, Kant’s notion of the laws of reason are essentially empty abstractions, one’s that exert an ethical force only “‘as if’ there were a substantive connection to noumenon, despite this connection being precluded from the outset” (166). Moreover, as Snoek makes clear, Agamben’s criticism that modern ethics are empty, yet still in force, comes from his reading of Kafka. What Kafka’s tale’s reveal to Agamben is that “if the does not prescribe anything, it is impossible to distinguish between the law and its violation” (156). In other words, when the law lacks specific content, what follows is not the dissolution of the law, but rather a law that exerts an even greater force: one that begins to blur the distinction between law and life itself. Already, between Kant and Kafka, Agamben’s theory of sovereignty (specifically, his claim that sovereignty leads to the production of bare life) begins to come into view. Hence, when the reader comes to Lemm’s chapter on Foucault, they are prepared to understand the significance that her claims have for Agamben. As she explains, “For Agamben, the rise of biopolitics does not reflect a shift from sovereign to disciplinary power as Foucault had thought. Rather the sovereign power of life and death stands at the logic inherent to biopolitics” already (53). As these examples demonstrate, Agamben’s Philosophical Lineage allows readers to encounter what Antonio Negri infamously called the “two Agambens,” namely the “metaphysical” and “political” Agamben. Much of the attention surrounding Agamben has been generated by his provocative Homo Sacer series. It is thus not surprising that so many of the essays focus on the politico-metaphysical elements of his thought (e.g., sovereignty, bare life, constituent power and destituent potential, temporality). 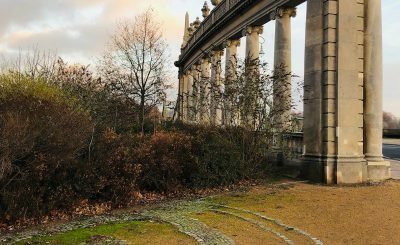 However, as William Watkin has elsewhere convincingly argued, there is also “third Agamben”—the literary Agamben concerned with the voice, with poetry: language as the house of the non-linguistic, enjambment, the caesura, etc. While this Agamben is not wholly absent from the book, his presence is more like a trace, is much less perceptible. The most notable exception to the conventional subtlety of the literary Agamben is Alysia Garrison’s chapter on Hegel. The strength of Garrison’s chapter is the way she embeds Agamben’s interest in the experience of speech—and in the way “language expresses the removal of the animal voice” (140)—within his notions of impotentiality and inoperativity. But again: given the importance of Agamben’s political project it comes as little surprise that the contributors to Agamben’s Philosophical Lineage have chosen to focus on the more explicitly political aspects (rather than on the aesthetic, literary, or poetic) of his thought. Of course, this is not to suggest that the literary aspects of Agamben’s work are wholly removed from his political interests (or vice-versa). Precisely the opposite: what I found myself wanting more of was an appreciation for the way his aesthetic-literary concerns cannot be disimbricated from his politico-metaphysical thought. The way, for instance, Agamben’s reflections on poetry—on enjambment and caesura—directly inform his understanding of messianic time. “If poetry is defined precisely by the possibility of enjambment, it follows that the last verse of a poem is not a verse. Does this mean,” Agamben wonders, “that the last verse trespasses into prose?” (EP, 112). The implication of this question exceeds literary form, touching also upon the zone of indefinability between chronos and eschaton (cf., his reflections on caesura TR, 64). Ultimately, Agamben’s Philosophical Lineage contains a very complex portrait of Agamben—one more delicate than initially appears. What stood out to me, on the whole, was the way Agamben works against his own culture via his study of his own culture. 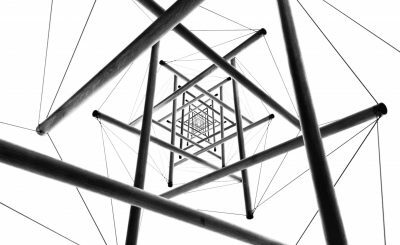 Academic and scholarly activity: it is all very well hierarchized…the roles, positions, and thoughts are precisely defined. What Kotsko and Salzani’s collection succeeds in showing is the way Agamben quietly maneuvers, dissociating himself from the world of values that surrounds us all. Agamben’s work, that is, involves learning how to create a disjunction between oneself and one’s time by reading everything—by confronting everything with everything. As Kotsko and Salzani put it, Agamben’s “philosophical lineage is not merely a reservoir from which he draws, but it is rather a tradition turned against itself, a tradition that, being itself alienated and ‘intransmissible’, is further disavowed, betrayed, warped, ‘deactivated’ and put to a new ‘use’” (4). As Agamben’s Philosophical Lineage makes clear, Agamben is not afraid to confront the towering figures of Western thought, troubling their ideas with even the most minor aspects of cultural history. The success of this book is in the way it provides a map of Agamben’s attempt to render inoperative his own culture by the very dissonances that comprise it. Agamben’s importance and relationship with Western thinkers is best summed up in the words of Foucault in reference to Bachelard: “He reminds me of skilled chess players who manage to take the biggest pieces with the pawns.” As demonstrated in Agamben’s Philosophical Lineage, Agamben has been and will continue to be a complex and captivating voice in modern philosophical discourse. SJ Cowan is currently pursuing his PhD in philosophy at UC-Riverside. He has a background in art (BFA), theology (MA), and philosophy (MA), and his current interests are in the history of modern philosophy (19th- and 20th-century) and aesthetics. 1 Agamben, The Fire and the Tale, 34. 2 William Watkin, The Literary Agamben: Adventures in Logopoiesis (London: Continuum Books, 2010), 2.